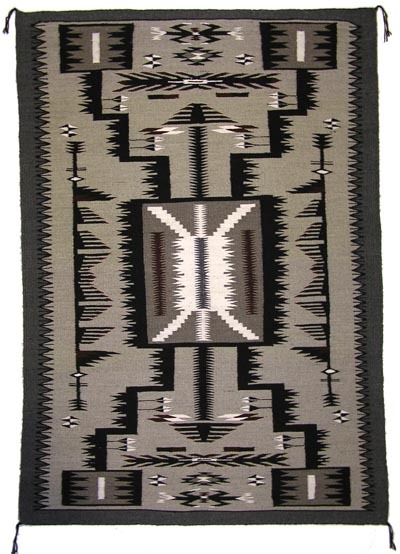 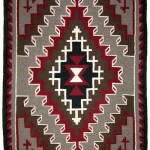 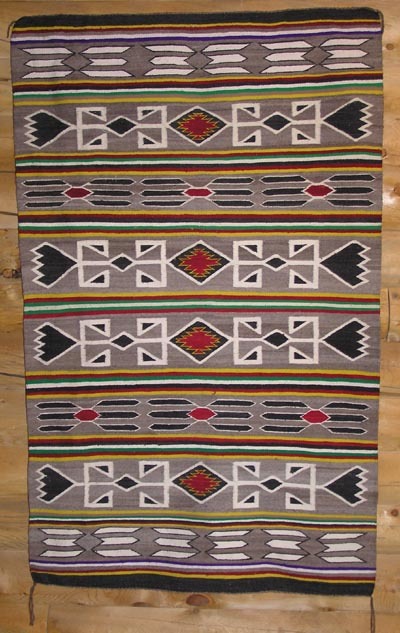 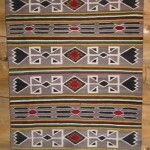 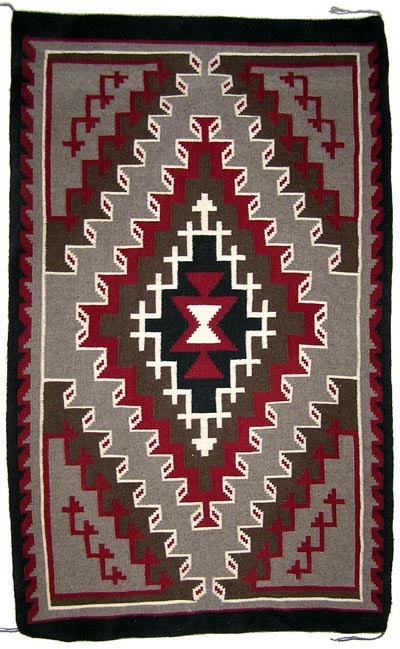 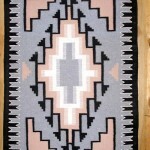 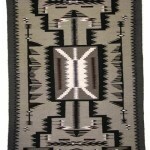 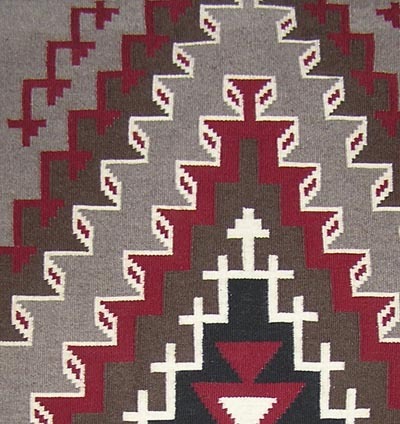 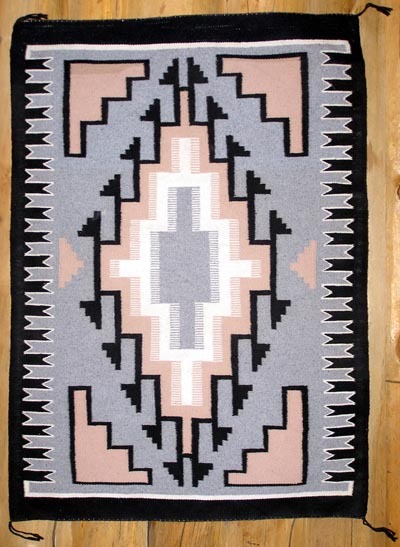 This handwoven Ganado Navajo rug is from our personal collection, was purchased at Hubbell Trading Post, Ganado AZ in the early 1980s, and includes the Hubbell Certificate of Genuineness. 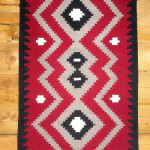 The weaver is Betty Begay. 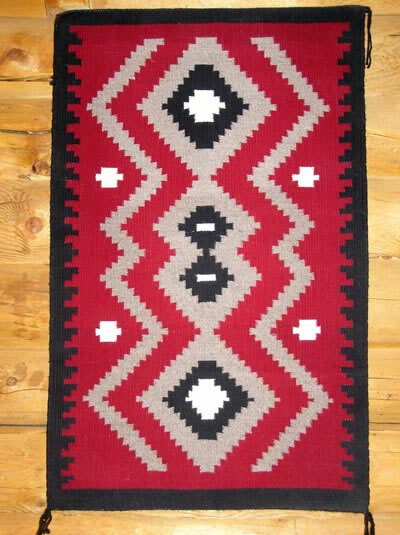 The rug stayed in safekeeping rolled until recently, and includes a functional but easily removable strip of cedar backing along the 52 in border, since it is currently displayed lengthways as a wall hanging.